Our True Cloud Architecture offers dependable uptime, security, and functionality for businesses of all sizes. Your affordability and personalized approach set you apart from your larger competitors, so we offer the tools you need to succeed. Built for the cloud, our platform's Amazon Web Service hosting technology and triple-redundant systems offer complete data protection and 99.999% uptime, guaranteed. With our reliable, built-for-the-cloud design, our platform allows agents to work from multiple locations. Whether your agents work in a dedicated contact center or from the comfort of their homes, they can log in and start connecting with clients in minutes to provide quality, reliable service — with no extra downloads required. 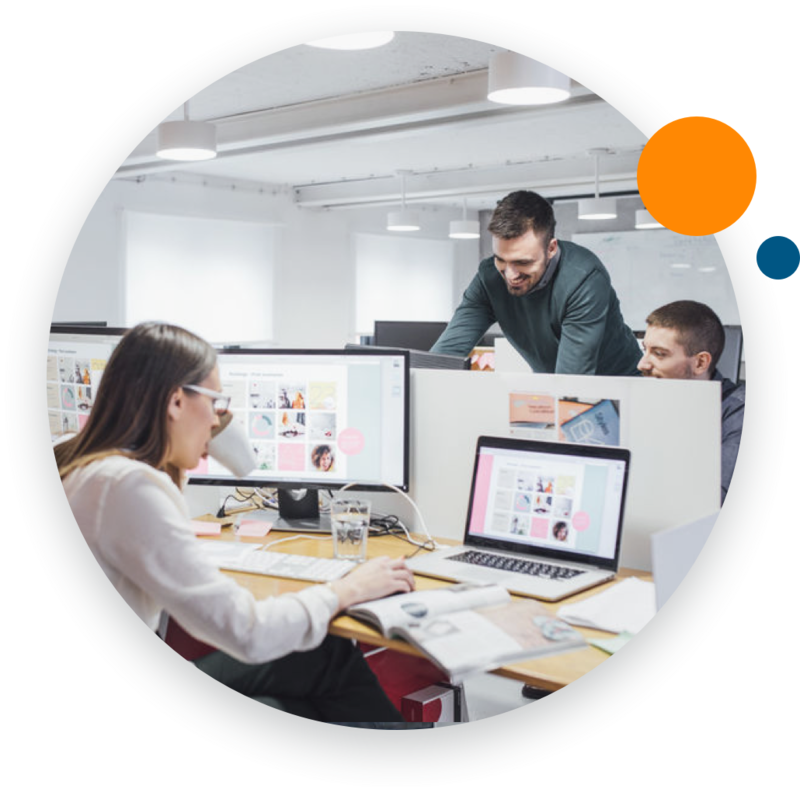 Our future-proof software supports and empowers your business through any change, growth, and need. As your contact center expands and communication technology changes, we stay on top of your needs to keep you running, compliant, and secure at all times. Connect First is supported by a quality team of customer service professionals, who have taken the time to help resolve each issue I have come across. Our simple, intuitive design allows your agents and supervisors to learn, use, and master our contact center software in just minutes. Made to follow the processes they use every day, our platform makes every agent a power user and every customer interaction stand out. No matter your business needs, we offer your every solution on a single platform. From inbound to outbound to omnichannel capabilities, our feature-rich platform meets your every need — both now and in the future. Connect First is an all-inclusive solution, meaning we offer everything you need to deploy without hidden fees, scope creep, or unwelcome surprises. With implementation support, reliable scalability, and simple pricing, we offer a platform you can trust. We care about people, not the size of their business. We'll work hand-in-hand with you to ensure your success during implementation and maintain availability once you're up and running, offering total support through every stage. Your business is unique, so we'll work with you to ensure your needs are met consistently and to your satisfaction. From communication channels to contact center roles, our platform enables you to find the solution that works best and offers the capabilities you need to succeed. From beginning to end, we work directly with you to implement our solutions, resolve onboarding issues, and optimize your experience and results. As a proactive partner, we offer solutions before problems arise. Through onboarding and beyond, we are with you — every step of the way. See how Connect First cloud contact center software serves large and enterprise-sized businesses like yours to drive revenue and exceed customer expectations.